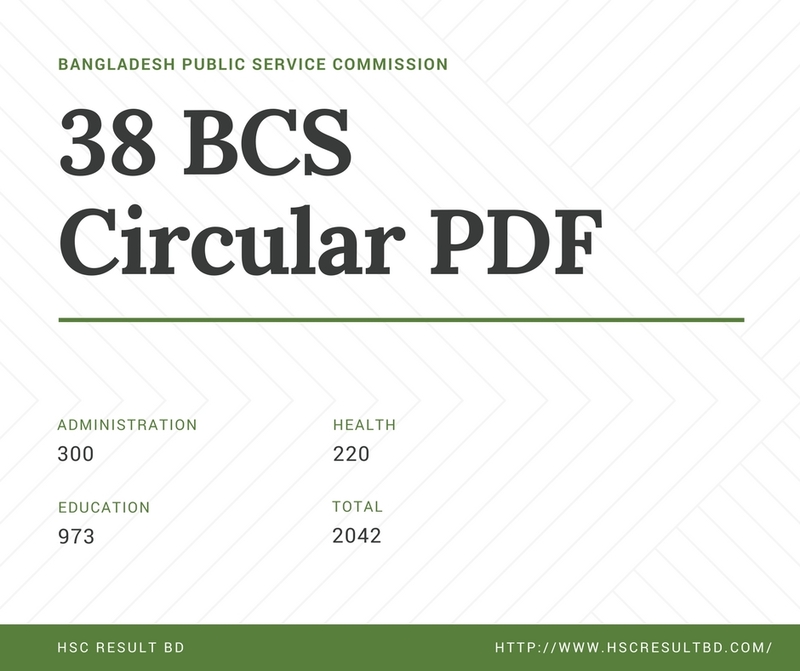 38 BCS Circular PDF Download will be available soon. 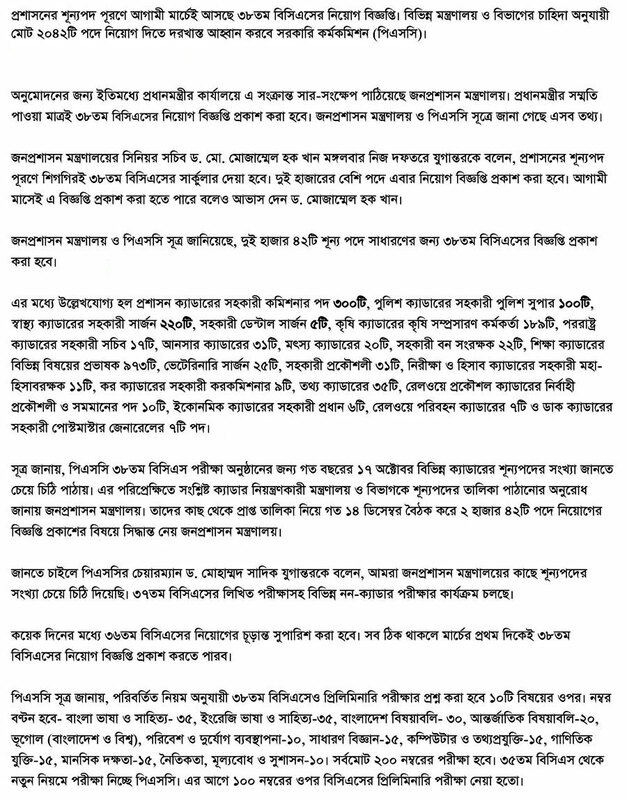 38 BCS Circular will be published soon. You can get the 38 BCS circular PDF from here. 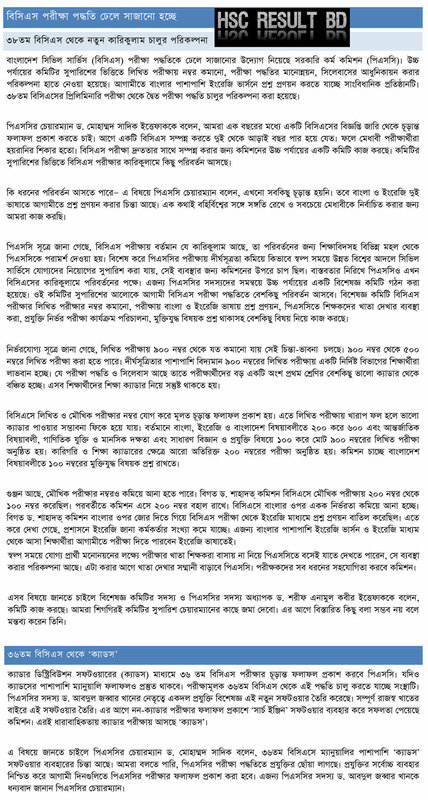 Please bookmark this website to get the latest BCS notice and circulars for upcoming BCS exam. There will be total 2042 available posts for the candidates in 38th BCS Exam. Among the 2042 Posts, the post-distribution among different professionals will be like below.